Hi everyone! Happy Tuesday! I hope you all had a wonderful Thanksgiving weekend with your loved ones. I just got back from Indiana yesterday and had a great time back home relaxing, eating, and spending time with my family & friends. 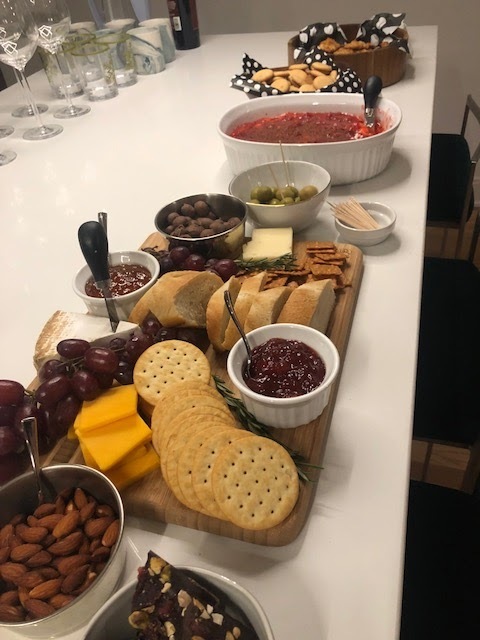 I loved every minute of it as always :) Last week, my friend Holly and I hosted a Beautycounter and Doterra party in Nashville at Holly's house and I made the food for the party (which is always so fun for me). 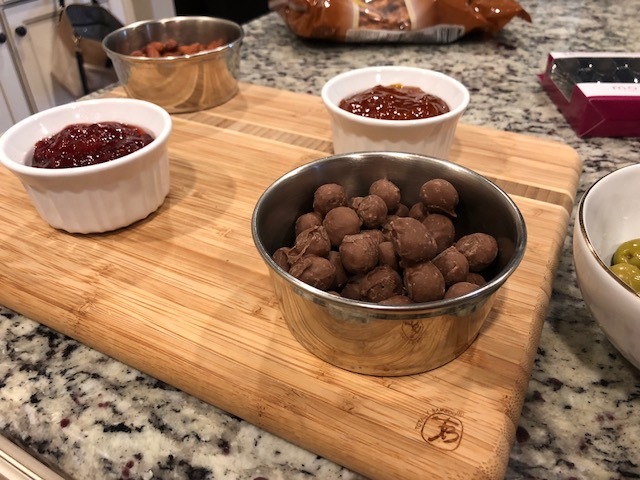 I made a cherry cheesecake dip (recipe coming to the blog soon) a cheese board, and sausage bites. 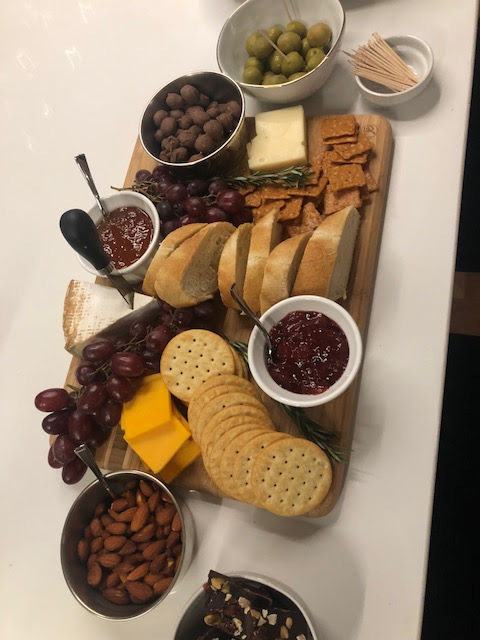 We had a great time and turnout to our party but I wanted to share the very easy steps on how to create your own cheese or charcuterie board. 1. I started by grabbing my board that I wanted to use and placed the items that need to be in small bowls or ramekins and placed them throughout the board to create balance. 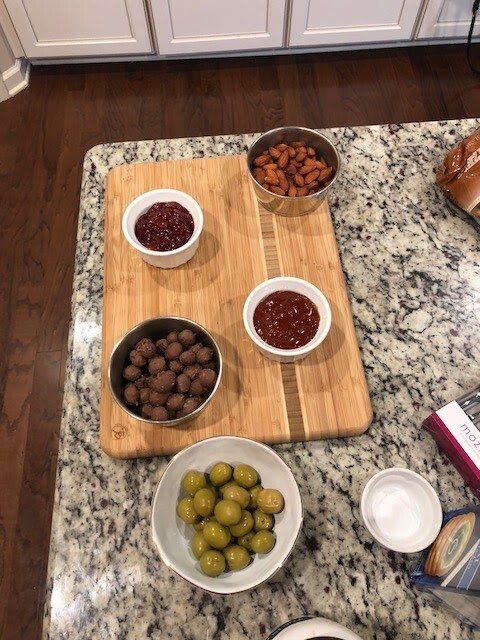 I used almonds, apricot jam, strawberry jam, chocolate peanuts, and olives. 2. Next, I placed my cheese throughout the board. 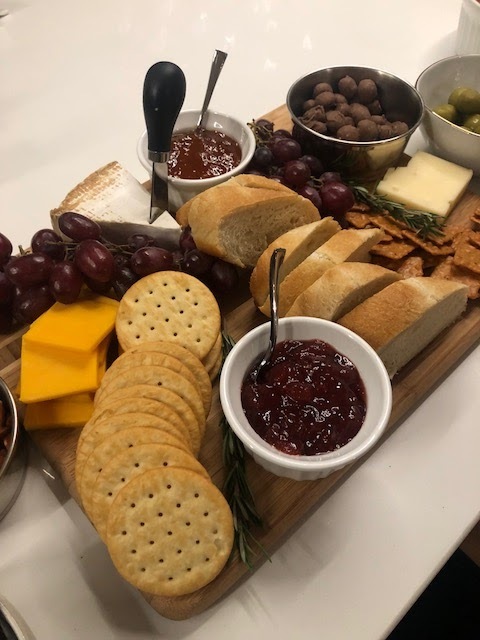 I used swiss, brie, and sharp cheddar for the cheese and placed them throughout the board leaving space for the breads & crackers. 3. Next, I added in circle crackers, square crackers, and french bread down the center for the jams. 4. Lastly, for garnish I added in two bunches of purple grapes for color and two pieces of rosemary also for color and texture. Also, place toothpicks throughout your board or in several of the ingredients for your guests to easily pick up and navigate your board. It's that simple! For a charcuterie board all I needed to add was some type of dry, cooked, or smoked meats. I would have added pepperoni, salami, or prosciutto to the board and that would have created the ultimate charcuterie board.